Local rivals FC Barcelona and RCD Espanyol meet for the first time this season on Tuesday evening (9.30pm CET) in the Catalunya Super Cup at the Nou Estadi, Tarragona. Barcelona will be defending the title that they won on penalties in 2014, after the 90 minutes of regulation time had ended 1-1 in Girona. Following the dramatic 3-2 win in Valencia last Saturday, Luis Enrique has given a few days of well-earned rest to first team regulars Ter Stegen, Rakitic, Sergio, Luis Suárez, Messi, Neymar Jr, Mascherano, Digne, Sergi Roberto and Umtiti, who will not be required to report back for training until Thursday. Also missing from the team this evening are the injured Piqué, Iniesta, Rafinha, Jordi Alba, Cillessen and Aleix Vidal, the latter the latest player to be side-lined after picking up a thigh injury in the Monday training session. 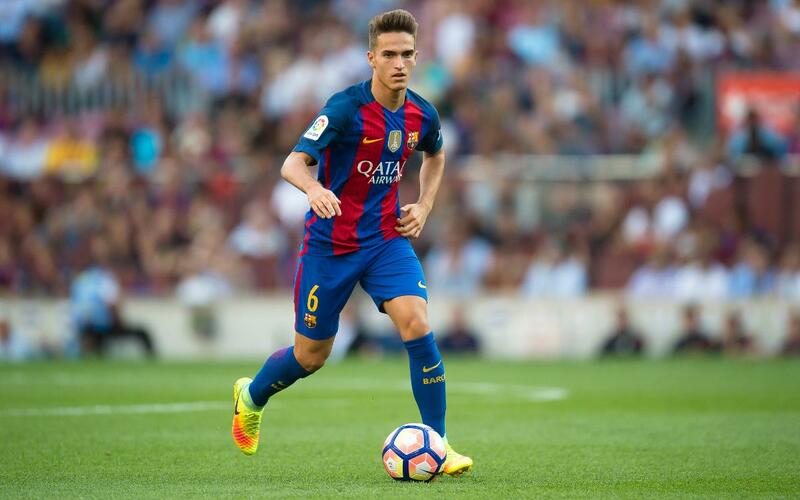 The six first team members that are in the side (Masip, Denis, Arda, Paco Alcácer, André Gomes and Mathieu) will be joined on the trip to Tarragona by twelve of the Barça B squad (José Suárez, Palencia, Mujica, Nili, Marlon, Moisés, Martínez, Sarsanedas, Aleñá, Alfaro, Gumbau and Carbonell). Espanyol, who came back from 3-0 down to take a valuable point off Eibar in a 3-3 draw at the weekend and are currently 16th in the league table will be missing Piatti and Hernán Pérez after they both picked up minor injuries in that game, and are added to a treatment list that already featured Òscar Duarte and Álvaro. But almost all of their travelling party are from the first team, with only Óscar Melendo being brought in from the reserves. Although this is only the second edition of the competition in this particular format, in which the two top flight clubs contest a separate trophy, the history of tournaments to decide the champion club of Catalonia is one that dates back to the very beginning of the 20th century.